Indie Retro News: Could The Oliver Twins be making a new Dizzy game? 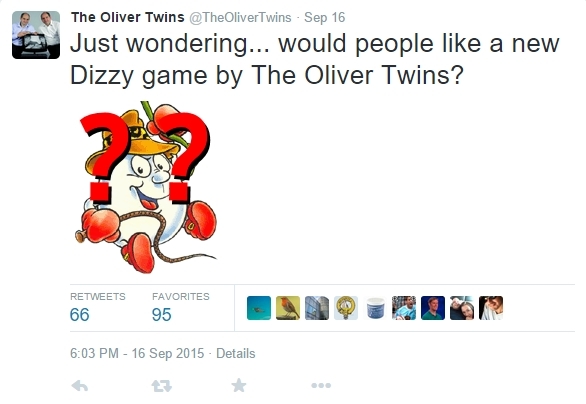 Could The Oliver Twins be making a new Dizzy game? As you well know I and many others are huge fans of the Dizzy series. A famous egg going way back to the 80's, who went on grand adventures, talking to the YolkFolk, solving puzzles and most of the time having a really bad experience with the evil Wizard Zaks. A character designed by the legendary 'Oliver Twins' that has gained such devoted fans, we've seen countless remakes and Dizzy fan games from a multitude of home based developers. Even though we've played all the games such as Dizzy, Treasure Island Dizzy and the others, we were very disappointed to hear of the failure of the Dizzy Kickstarter, which looked like it was to be the most incredible looking Dizzy yet! 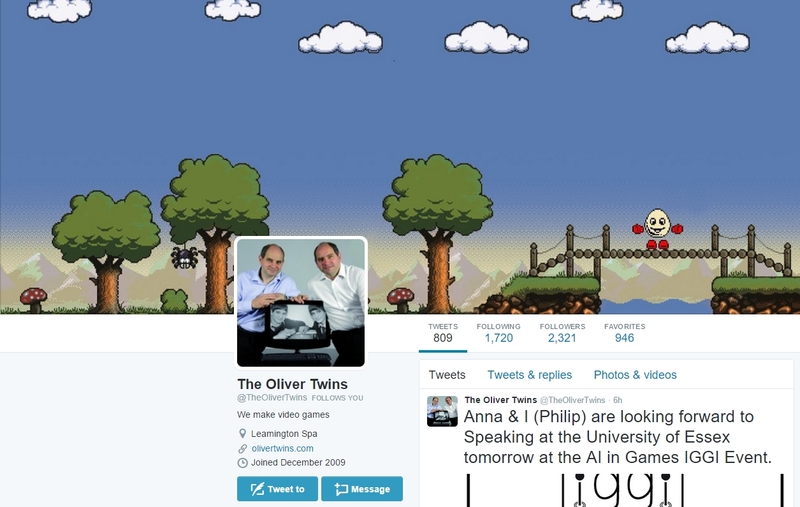 But all is not lost, as over these past few weeks, it looks as if The Oliver Twins have been hinting of a new Dizzy game! 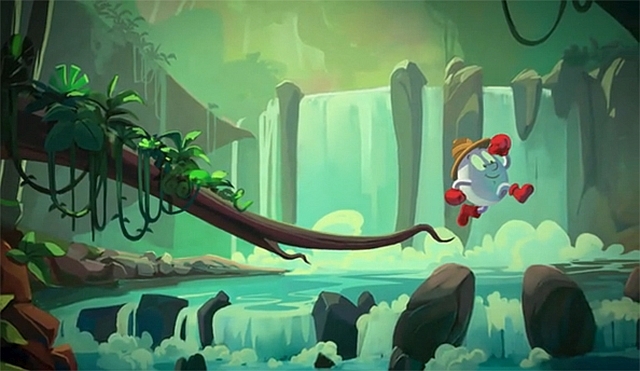 Now even though the developers have done incredible work with their MMORPG of SkySaga, I myself have always wanted a new Dizzy game and not just by the fans. So after the recent 16th Sept tweet perhaps the developers were hinting of a new dizzy game, by asking if people would like a new one to play. So instead of us jumping at the chance to write something, we held back and sure enough, today, The Oliver Twins have shown off a very special screenshot on their tweet page. But so far they are still not giving too much away at this early stage. I for one am really excited, but I also have to be careful not to be pulled in by false hopes! But what I can say is this. If this new Dizzy game comes to be, and it's on the PC, expect me to take much needed time out and get lost in a world of the great Dizzy and his YolkFolk palls!